Come see us at our home since 1997, on top of Waterford Hill. 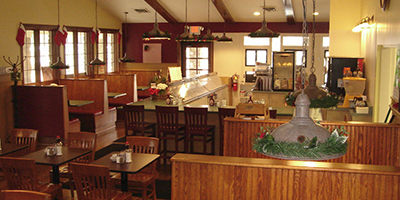 Ed is usually around, chatting with guests, and the team is hard at work making your favorite Pete’s meals! We look forward to serving you! Join Andy and Katie at our Orion restaurant. Rib Night is the first Tuesday of each month. Baldwin Road construction begins soon. We greatly appreciate your business during this inconvenience. 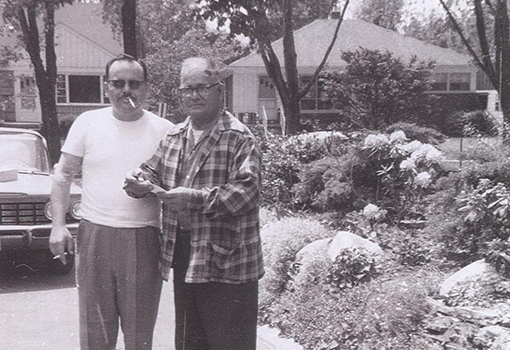 We’re proud to have been part of the Detroit community since 1929. From participating in the Dream Cruise to hosting local charity fundraisers, we do everything we can to help make our hometown special. Many people have asked, and many want to meet him. We’re sorry, but Pete is no longer with us. 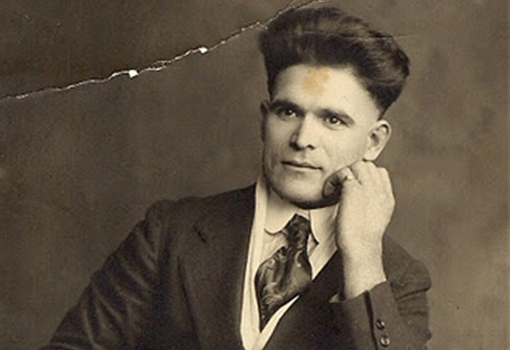 Pete is the grandfather of Ed and the great-grandfather of Andy. Now, both Ed and Andy will answer to “Pete” and are often called “Re-Pete,” but neither are actually Pete, himself. 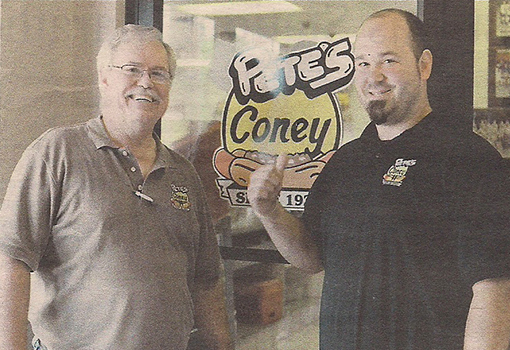 Andy is sometimes referred to as “Little Ed.” Together, Ed (Dad) and Andy (Son) operate Pete’s Coney Island II in Clarkson and Lake Orion. 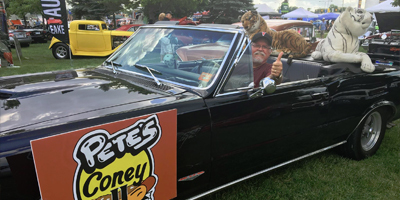 Way back in the late 1920’s, Pete and his wife, Donna, and their children, Walt, Chris, and Olga, started the very first “Pete’s” on the corner of Lull and Wesson in Pontiac. 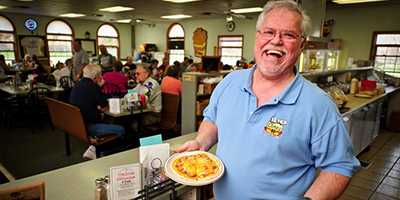 This neighborhood restaurant served full dinners and seated about 60 patrons. 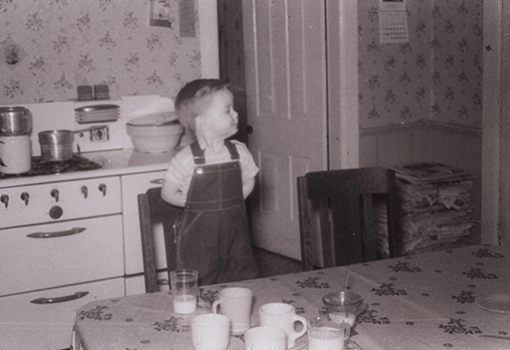 It was a great start to what would become a long-standing family tradition. 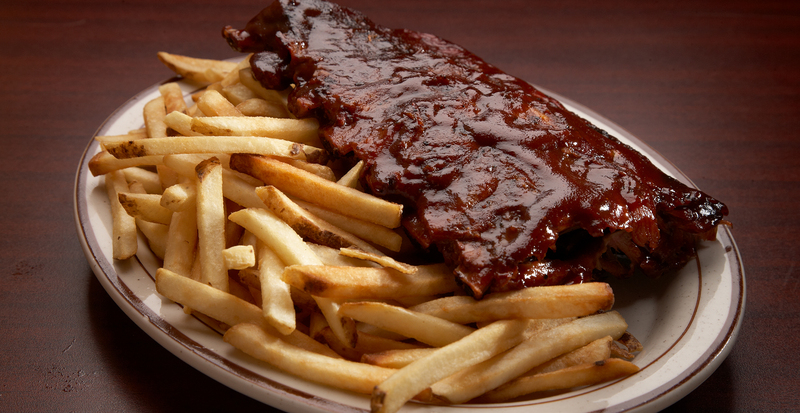 Don’t miss our monthly Rib Night Special at Pete’s Coney II in Orion. The 1st Tuesday of every month, we serve incredible, slow-smoked baby back ribs, pulled pork,homemade beans and corn until we run out. The first rack is served at 4:00pm, so don’t miss out. Can’t wait to see you there! 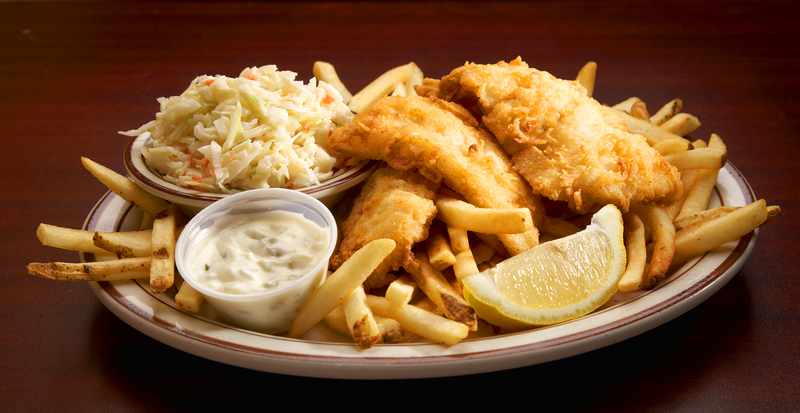 Every Wednesday and Friday, is our Fish Fry. Choose from a plate of 2, 3, or 4 golden, delicious crispy fried fish, or go for the win with the All-You-Can-Eat special. This light and flaky fried fish is nothing like any fried fish you’ve ever tried. Designed by Corner Store Creative | © Copyright Pete's Coney II 2019. All Rights Reserved.